We?re excited to introduce the all new TMNT Turtle Power Sk8 Complete. This complete features bullet trucks and custom orange wheels. Grab a slice of our most bodacious collaboration yet! 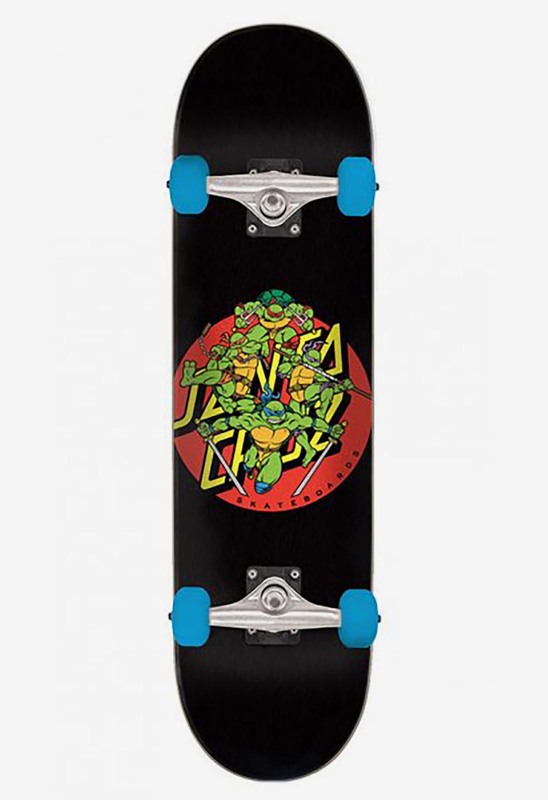 The Teenage Mutant Ninja Turtles x Santa Cruz collection features tubular skateboards and apparel for fans of any age. With a combination of new artwork and classic Turtles nostalgia, this collection is sure to be the cheese to your pizza.